The Dillon Bedroom Set features the sleek elegance of modern design, but with the warmth and comforting feel of rustic furniture. A delightful twist on modern bedroom furniture, the Dillon Bedroom Set exemplifies the beauty of rustic styling. Combining the warmth and tranquillity that rustic furniture evokes with the sleek straight lines of modern furniture, the Dillon Bedroom Set is a welcoming and beautiful collection. This Dillon collection creates an elegant statement with the look of rough-hewn paneled headboards and artistically designed corners that host multiple tones of wood inlay. Crafted of solid kiln-dried Acacia, these pieces are finished in a beautiful brick brown with wire brushed distressed surface that highlights a strong organic texture and patterning in the wood. Combined with sophisticated technologies for constructing, this piece uses exposed Mortise and Tenon corner joints and metal bolt-on side rail fittings, to ensure long-term durability, and create an artistic statement. The Dillon Beds are true platform beds, which eliminates the need for a box spring. The modern slat system provides exceptionally even and sturdy support; while simultaneously allowing for continuous air flow through your mattress, which reduces moisture buildup, allergens, and dust mites. 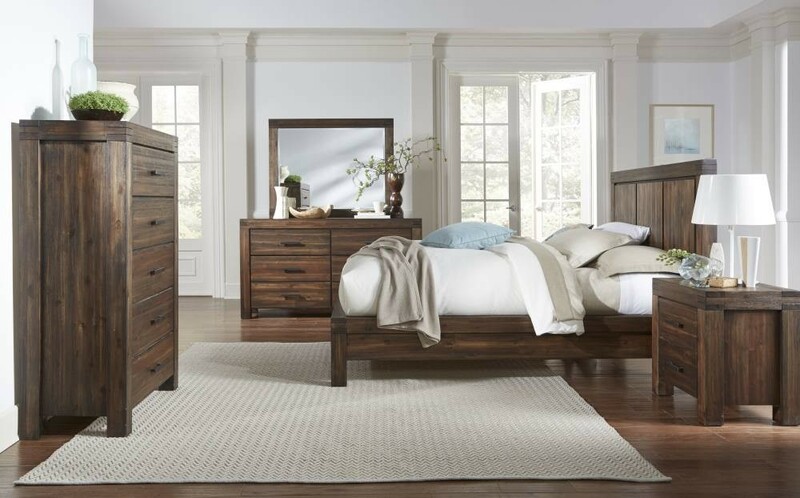 Crafted from sustainably sourced wood and finished with reduced-impact stains, the Dillon Bedroom Set is environmentally friendly and ensures minimal off-gassing protecting you, your family, and the planet. The Dillon Nightstand, and all Dillon cases feature beautiful, solid Acacia fronts, tops and sides and exposed mortise and tenon corner joints. 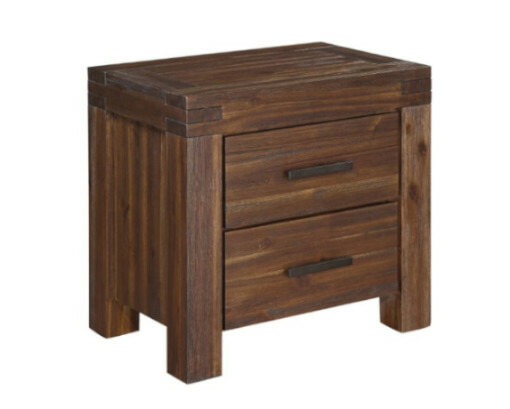 The 2 drawer Dillon Nightstand is the perfect complement to your Dillon Platform Bed, providing plenty of bedside storage as well as a solid top for a lamp, your phone, or an alarm clock. The Dillon High Chest provides generous storage while occupying minimal space, making it ideal for smaller bedrooms. Like all other Dillon case pieces, the High Chest features english dovetail joinery for strength and durability. 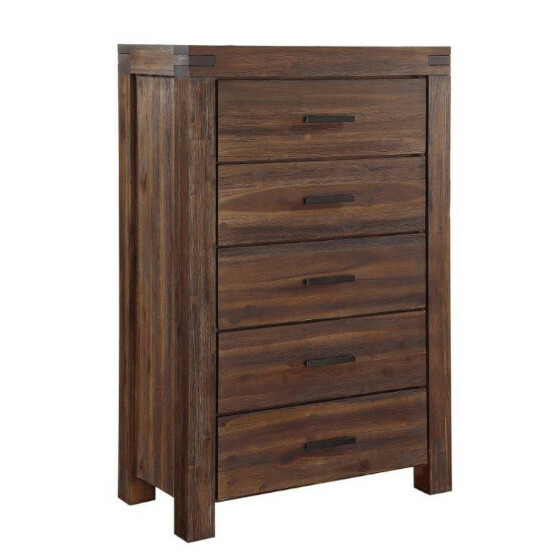 The Dillon Dresser is an elegant piece with 6 drawers for all your bedroom storage needs and has felt-lined top drawers perfect for jewelry or any other delicate accessory. The Dillon Dresser, and all other Dillon case pieces, feature full-extension ball bearing drawer glides. 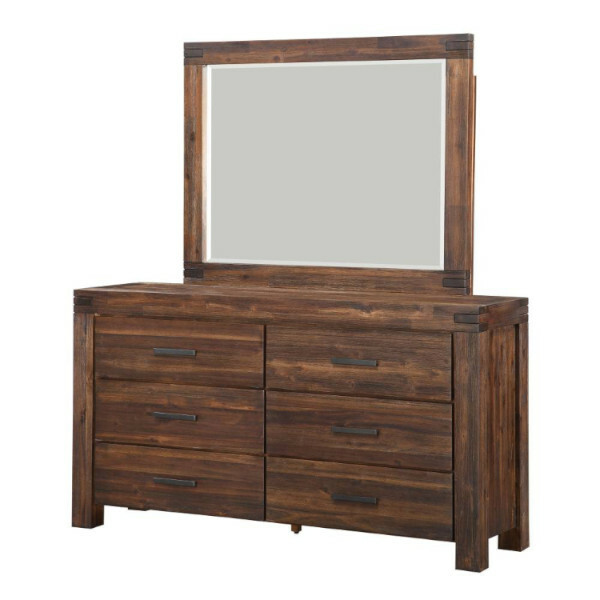 Complete the Dillon Bedroom Set with the beautiful Dillon Mirror. I wish to thank you and Haiku Designs team for your wonderful service and your quick response to my needs.